It's not often a book about the Rolling Stones mentions Archbishop Lefebvre, but Prince Rupert Loewenstein's memoirs do that. Prince Rupert has a long association with the Latin Mass Society; having been Chairman and President, he is now one of our Patrons. 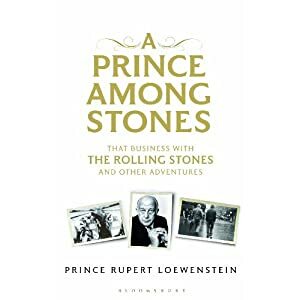 He was also the financial wizard behind the Rolling Stones, and his book, 'A Prince Among Stones', is mainly about that. 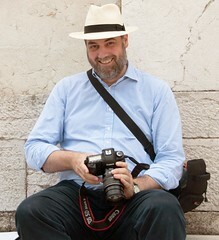 He does mention some of his charitable work however, for the Order of Malta an Aid to the Church in Need, and that his two sons have become priests. One, Conrad, is a priest of the Fraternity of St Peter, and that's where the (passing) reference to Archbishop Lefebvre comes in. It is a curious book. Prince Rupert had no affinity with the music of the Rolling Stones, though he respected them as musicians. The set-up seems extraordinarily incongruous. Here's a rather unflattering review in the Daily Telegraph, which gives more background, and the kind of response one might expect from a rock journalist.